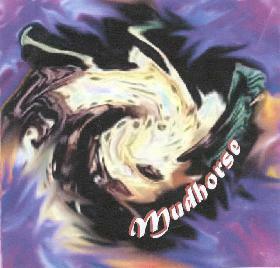 Mudhorse are a four piece from Helsingborg, Sweden. This is their 2nd demo CD. I reviewed the first one a half a year ago or so. This is rawer and was recorded in the Herb Parlor (rehearsal room?). The band have an almost southern rock style groove to some of their songs ("Manshado"). "Down Hill Valley" is a slow song that never really develops and when the guitar solo comes it is a bit buried and not that inspired. "Queen Flow" is the highlight of the demo but the bass almost totally drowns out the guitar at times. "Slokey" closes the CD and is the bands heaviest song. I was a little disappointed with the CD this time around. The songs just did not capture my spirit that well. For more information you can email Mudhorse at: Mudhorse_booking@hotmail.com.